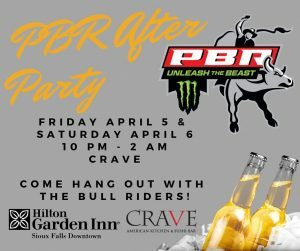 PBR will be hosting their Official After Party at CRAVE Restaurant in the Hilton Garden Inn Downtown. This will be your chance to hang out with the bull riders! Cash bar and limited menu available.